one happy little crafter: The results of a bit of me time! Hello there and thanks for stopping by, hope you've had a great week. Its been a really busy one for me, so this afternoon I decided to swerve the h****work in favour of a but of me time. 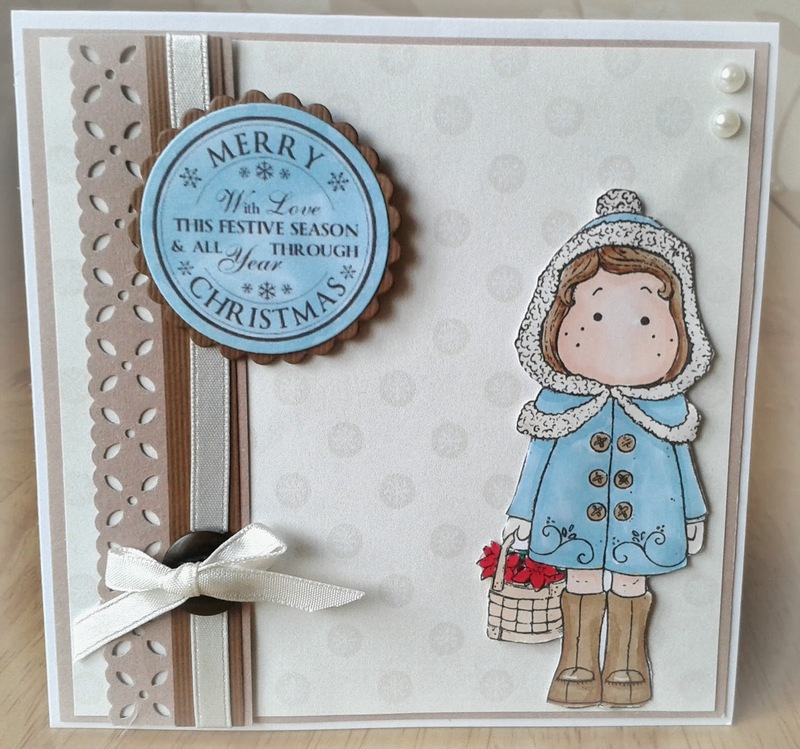 When it comes to images for Christmas cards, this Tilda stamp is a firm favourite. She is coloured with promarkers, and I also coloured the sentiment with the same duck egg blue to match. The border was made with a Martha Stewart punch, cant remember where this paper came from, but I love the neutral tone and the tiny snowflake in the design. The button, ribbon and pearls are from my stash. This is gorgeous Lisa, such a sweet image and beautiful colouring. I love the papers and layout too. Sweet card! I love the soft colors. Thanks fro joining us this week at Holly Jolly! Love your adorable, sweet card.